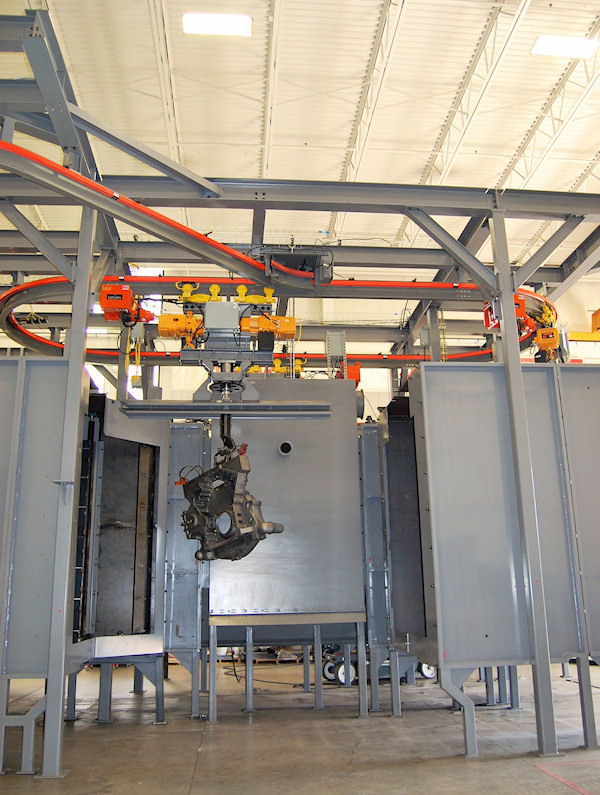 Blast Cleaning Technologies System is designed around a four (4) wheel continuous Spinner Hanger cabinet provides for parts to be suspended from an overhead fixture and passed through the shot blast cabinet. This system utilizes three independent powered trolleys that provide travel for the dual hoists mounted in unison with the trollies. 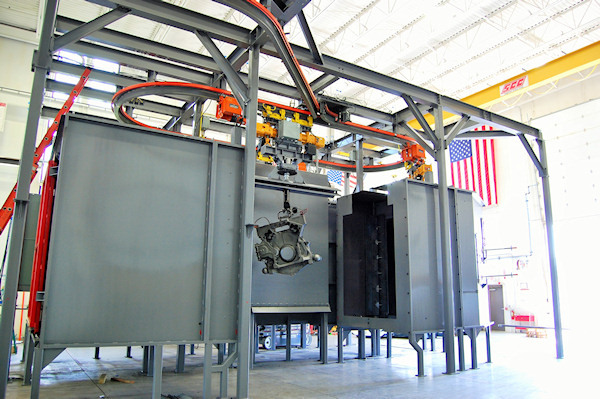 Castings are loaded onto the elevated heavy-duty perforated load zone. 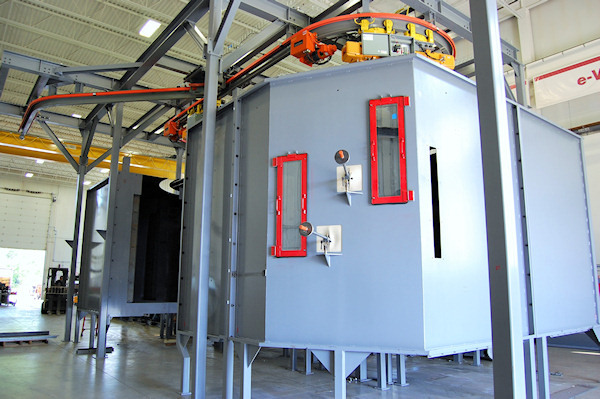 The operator hooks the appropriate work fixture, hooking the part or casting and raises the casting to the trolley load point. Hooks, chain and fixture racks are installed based on each project layout.